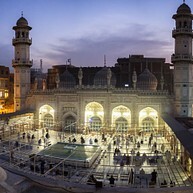 Historically an important trading centre, Peshawar sits not far from the Khyber Pass, once part of the legendary Silk Route, and an important gateway to the Indian subcontinent travelled by prominent conquerors and explorers. Things remain volatile in Khyber Pakhtunkhwa border province, of which Peshawar is the capital, but recent trends seem to indicate a decline in criminality and a budding resurgence of urban life. Given that most city exploration is done during daylight hours, there is plenty to easily fill a space of a few days. Apart from the must-dos of Peshawar Museum and the Old Town, one unusual attraction is the 1920s Khyber Railway, trips on which are only possible by prior appointment. Depending on their planned time of travel, adventure-seekers might want to look into visiting one of the notorious gun factories in the outlying Tribal Areas (or the infamous Darra Adam Khel), but doing so outside of a guided tour can be highly dangerous and is strongly advised against. Nowhere else in the world is there a collection of Gandharan art more extensive than that of the Peshawar Museum, housed inside an attractive Victorian building (much of the Gandharan section was closed for renovations as of fall 2017, so do give a call prior to visiting). 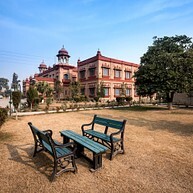 The grounds of beautiful Islamia College are open to the public, allowing anyone to enjoy the glory of its Victorian architecture and tranquil, green premises. It is a reputable academic institution, too, and one important enough to be displayed on the 1000 Pakistani Rupees banknote. The splendid Mahabat Khan Mosque is a fine example of 17th century Mughal architecture, with its ornate interior and courtyard water reservoir especially inviting to visitors. 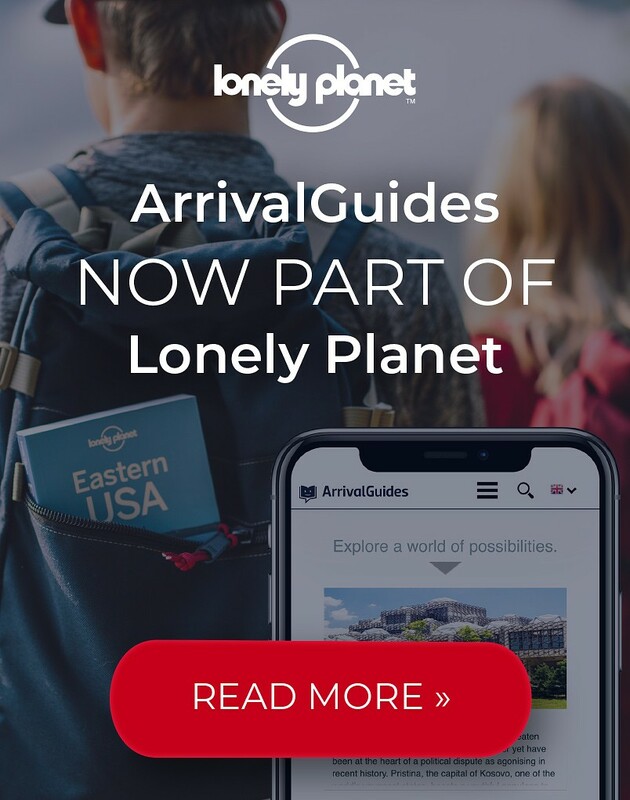 Entry is allowed, and private tour guides offer their services at a moderate fee. 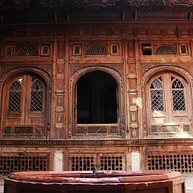 The Sethi Mohallah area within the walls of Peshawar's old town contains rare examples of Central Asian-inspired architecture, building constructed by the once prosperous trader family. The intricate woodwork and carvings, along with ornamental interiors and stained glass windows and ceilings, make for a fascinating look around (mind that most houses are now privately owned). 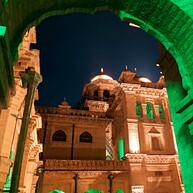 The imposing fort was once the seat of Afghan Durrani royals; ownership was transferred to the Sikhs in the 19th century, the fort eventually being rebuilt by Britain to achieve the look it has today. Bala Hisar now houses the paramilitary forces of Pakistan (which makes a look inside problematic), but an on-site museum is open to the public. The Cunningham Clocktower, known locally as "Ghanta Ghar", lies a mere couple of hundred metres away from the city's busy centre, Chowk Yadgar. It was inaugurated in 1900, to commemorate the Diamond Jubilee of British queen Victoria. The Kalyan Bazar road that runs from here is lined with interesting examples of old merchant dwellings. Security is of concern at present and trips to the Khyber Pass are best left for a better time (check official safety advice at your planned time of travel), but do seize the opportunity when the opportunity comes. The pass has long been a gateway to South Asia (part of the ancient Silk Route), travelled by merchants, explorers and conquerors, the likes of Alexander the Great and Mughals, a channel that now connects Pakistan to the troubled Afghan territories via Torkham. Michni Checkpoint is as far as most visitors can count on getting.